Clairemont Communications | Who Wore It Best? 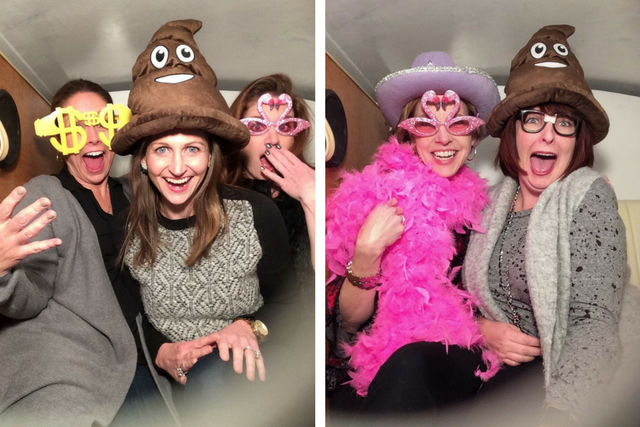 For Clairemont’s 8th anniversary extravaganza, we invited our friends from the Lil Photo Bus to capture the hoopla in their photo booth (which, incidentally, is housed in a vintage VW bus). From boas and top hats to flashy flamingo frames, partygoers had their pick of props from a decked-out costume closet. The best part? We have these festooned festivities on file. Check out the snapshots from our 8th anniversary, and tell us: who wore it best?